"Hacettepe Economics on its 50th Anniversary"
Our department, one of the founder departments of our university, celebrated its 50th anniversary in 2017 with a series of events. In addition to its foundation anniversary events, our book “50. 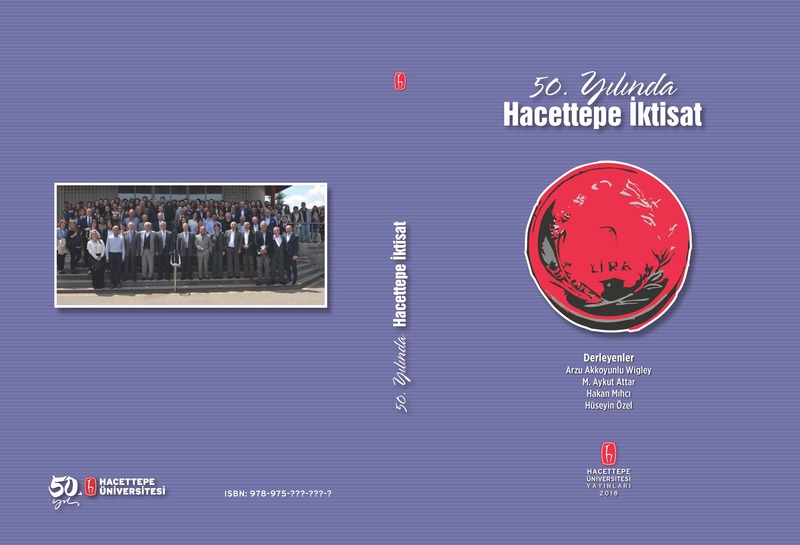 Yılında Hacettepe İktisat” (Hacettepe Economics on its 50th Anniversary), edited by our professors Arzu Akkoyunlu Wigley, M. Aykut Attar, Hakan Mıhçı and Hüseyin Özel, has been recently published by Hacettepe University Publications. “50. Yılında Hacettepe İktisat” is arranged to immortalize the story of 50 years of Hacettepe Economics, and is shaped by valuable contributions of our retired and working faculty members. In the book, we memorialize our late professors by gathering their CVs and publications together. If you want to obtain this book, you can contact Hacettepe University Book Sales Office.